Ever since Luis Suarez made his debut as a Barcelona player, the Uruguayan player made a huge impact as he provided his teammates with 14 goal-scoring assists and scored 16 of his own goals. This is hugely impressive for a player who was making his debut in a team that is filled with superstar performers in just about every single position in the field. 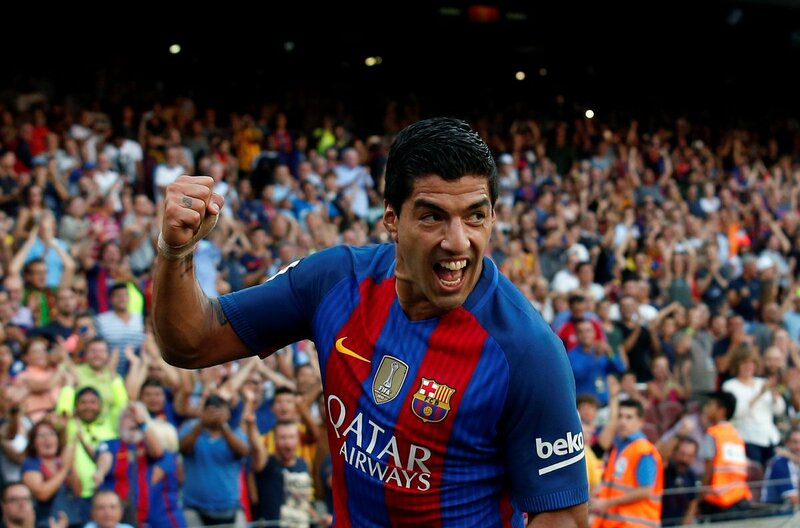 Fast-forward to the 2016-17 season and Suarez continued to playing one of the most influential roles of Barcelona as he scored 29 goals and assisted in 13 goals of his comrades. However, things have recently been shaking up in Anfield as Neymar was offloaded to Paris Saint-Germain and Luis Suarez is clearly struggling with only 3 goals in 6 appearances and 22 shots being launched. Dennis Suarez has the same amount of appearances so far and he has scored 2 goals, only 1 less than Suarez and most of his actual matches arrive from the sidelines as he is mostly being utilized as a substitute player with only 4 shots fired. Luis Suarez recently had to perform at the international stage with Uruguay as he helped his national side in qualifying for the 2018 FIFA World and this could have affected Suarez who has recently been in physical pain in some of Barcelona’s latest matches. With the pressure on Uruguay to qualify for the World Cup through the Play-offs, it’s no wonder he isn’t playing with the same freedom he used to. For fans interested in seeing for themselves, check out the complete coverage of the football games today – click here! Whether or not Suarez returns to his old form is something that only time will tell and its only the start of the season which means that there is plenty of matches for him to get back in form. With Neymar exitting for Paris Saint Germain, Barcelona knew they would be under-powered up-front. They brough in Ousmane Dembele for a Club Record fee, only for him to be injured in his third game for the club, and ruled out for 6 months. Whilst Messi has continued to score goals and caft chances, Suarez has struggled. Much of Barcelona’s season will rest on whether they can get him scoring again.